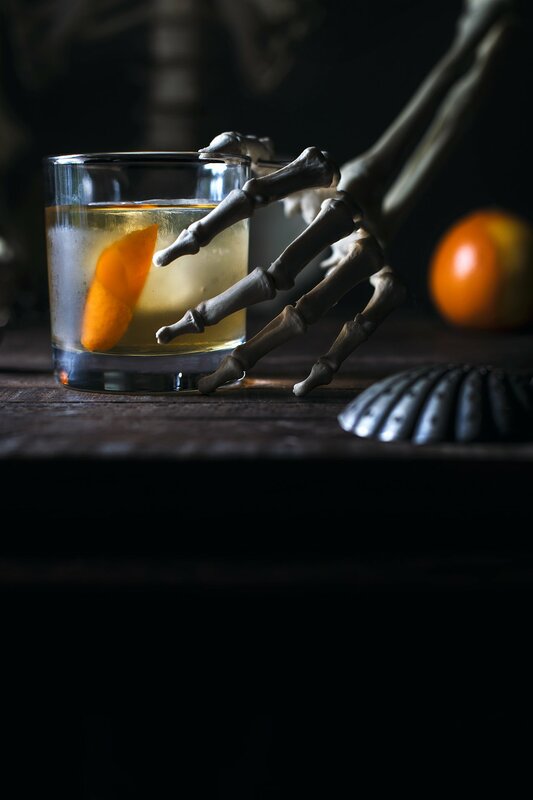 Oaxaca Old Fashioned – Happy Halloween!! Fiona is dressing up as a ladybug for Halloween this year, and I’m not sure how I feel about it. Audrey made the costume from scratch, which is awesome, but part of me wishes she was a bit more ghoulish. Why not a zombie ladybug?! Eh, I guess she is only two . . . there’s time. Speaking of ghoulish, I thought it would be fun to unleash one of the skeletons from the closet and put him to work (his name is Fred – don’t ask). 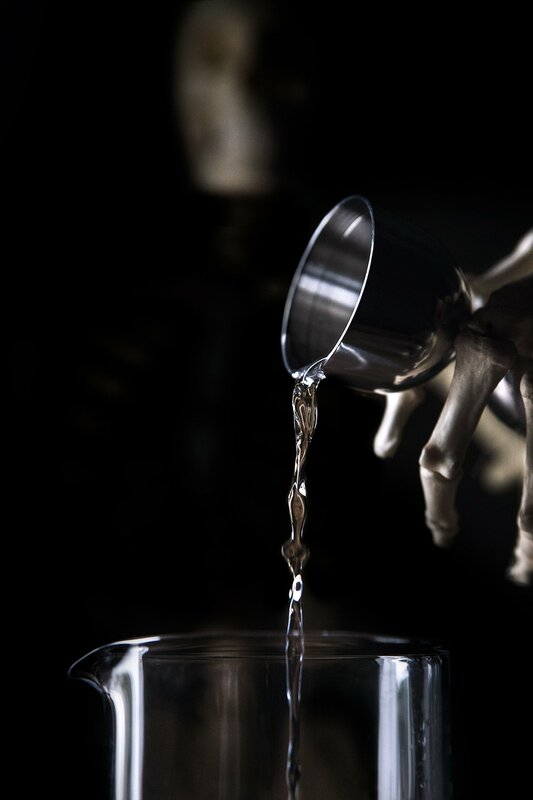 Fred’s bartending skills were rather raw, his technique a bit rigid, and conversation painfully hollow, but in the end he executed the cocktail to perfection. 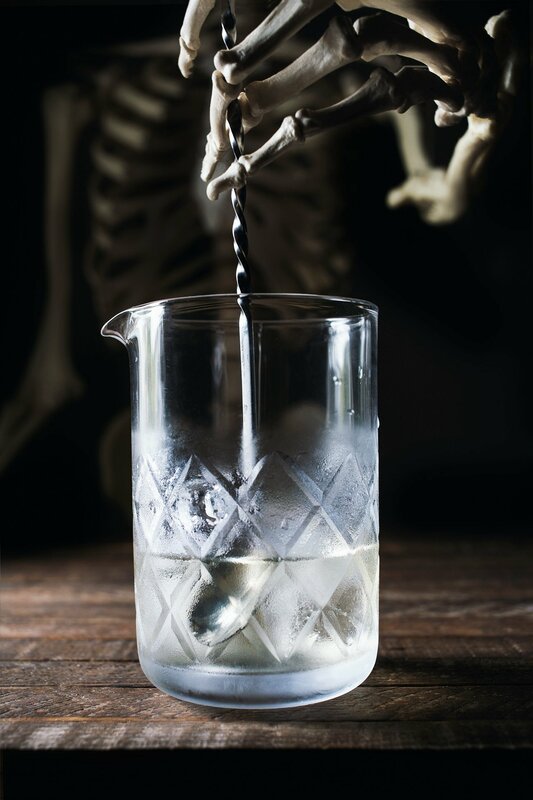 This modern classic is a Phil Ward original (Death & Co, Mayahuel), an agave lover’s ode to the Old Fashioned, and one of the cocktails that helped put mezcal back on the map. 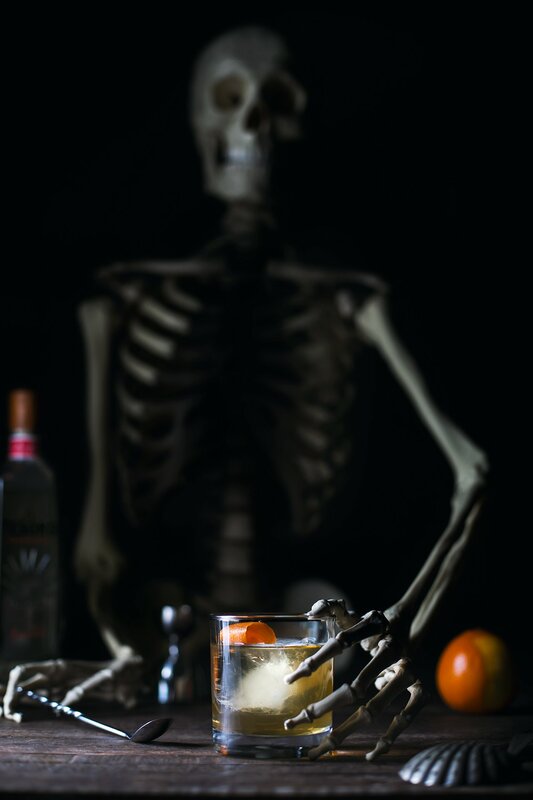 Oaxaca Old Fashioned - Happy Halloween!! Add all the ingredients into a mixing glass, fill with ice, and stir for 30 seconds to combine. Strain into an old fashioned glass over one large ice cube. Garnish with a fresh twist of orange and serve!! Love! Love this photo set up for this Oaxacan Old Fashioned. Make no bones about it, this is just ghoulishly fun! I love mezcal to begin with, and anything with bitters is just my cup of tea…or liquor…whatever… Anyway, the photography is insane as always. I have to ask though, does Fred work only the graveyard shift at Casa Fiona? Hi Sarah! Hmmm, that’s a great question! Del Maguey will always have a special place in my heart, as it was the first mezcals I ever tried. 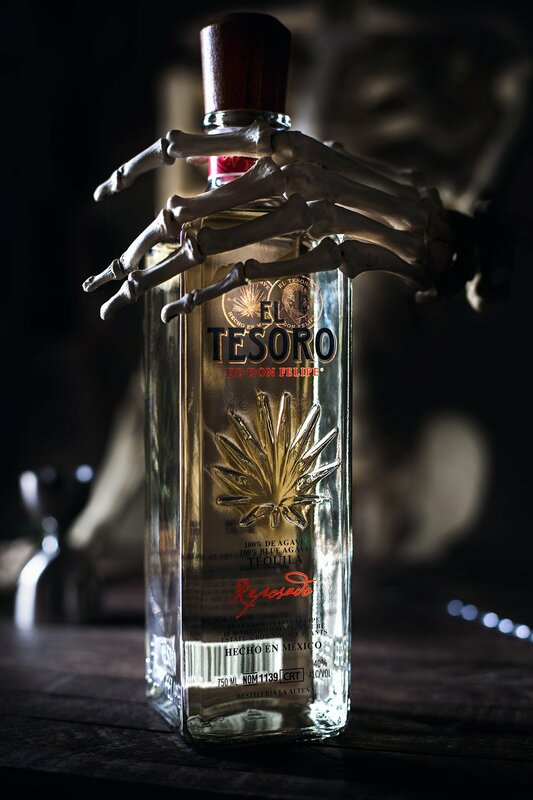 It was one of the original brands that put premium mezcal back on the map in the US. They offer a number of varietals, but I’ve always been a fan of the Chichicapa. Lately, a couple of my other favorite brands have been Fidencio, and El Jolgorio. I don’t think you can go wrong with either of those. Again, each offer several varietals. Be prepared to pay a pretty penny, as most good mezcal is in the $70-$120 per bottle range (and even higher). I always like to find a local bar that offers a diverse selection, and then asking the bartender for some recommendations and some samples. That way when I shell out for a full bottle I know it’s worth it! I hope this helps. Love that you’re expanding your home bar!! Thanks for stopping by the site. This sounds like a great way to celebrate this Halloween!